Frederick W Smith, the founder of courier company Fedex Corp, was once reportedly down to $5,000 soon after starting the (now) multi-billion dollar firm. He gambled in a casino, managed to make about $27,000 and helped his company live to fight another day. Rotomac-owner Vikram Kothari, left, didn’t share his luck. His company was heavily indebted to banks, and reports have emerged that he had also gambled in the forex and other markets; however, with one critical difference. He lost heavily. The company is now in the dock for Rs 369 crore, lent through a seven-bank consortium. 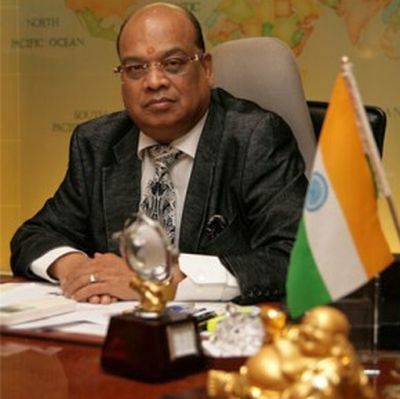 The Central Bureau of Investigation (CBI) announced on Monday that it had filed a chargesheet against Kothari. The chargesheet also named his US-returned son and director in the company Rahul Kothari. Both are in judicial custody. The investigation agency is also looking into the role of three officials from Bank of Baroda’s Kanpur branch. “Investigation revealed that the said private company represented by its CMD and others had entered into criminal conspiracy to defraud Bank of Baroda to the tune of Rs 457 crore (approx),” said a CBI statement. Further investigations are ongoing. Interestingly, a listed family concern, Kothari Products hit a 52-week low on 138.8, a day after the CBI chargesheet was announced even though Vikram isn’t connected with this company. When the family split happened before the death of their father MM Kothari, his brother Deepak got control of the listed firm. The father had helped grow the family’s pan masala brand Pan Parag into a household name. Endorsements by Bollywood actors Ashok Kumar and Shammi Kapoor helped. A now legendary ad often played on Doordarshan, with Shammi Kapoor saying, Baaratiyon ka swagat Pan Parag se kijiye. The 1980s ad has been viewed over hundreds thousands of times on Youtube. This branding success coupled with innovative packaging helped the family become the gutka kings of Kanpur. After the split, Vikram kept the privately owned Rotomac, which had its own household catchphrase ‘Likhte likhte love ho jaye’. Financial success seems limited in recent years. An October 2014 note from rating agency CARE highlighted some of the issues. “The ratings assigned to the bank facilities of Rotomac Global Pvt Ltd takes into consideration the low profitability margins due to high proportion of trading income, leveraged capital structure on account of high off-balance sheet exposure, client concentration risk, susceptibility of margins to volatility in foreign exchange rates and liquidity constraints in the past,” it said. The company’s financial position didn’t improve from there. It posted a loss of Rs 119 crore in 2015-16, compared to a net profit of Rs 22 crore the previous year. This is the last year for which annual returns have been filed, show records from the Registrar of Companies. Vikram was known for his expensive cars and partying with the famous and the powerful, even as he tended to work hard with early morning factory visits. Rotomac’s group businesses include north Indian steel rolling mill Mohan Steels, and RFL Infrastructures, which is involved in township projects, shopping malls and office parks. Another group company Rave Entertainment claims to have set up the first ‘true multiplex’ in Uttar Pradesh. The Fedex story ended with the company coming out of dire straits and turning its owner into a billionaire. No such turnaround seems immediately likely for Vikram. An agency report said that more chargesheets could be filed in the days ahead.